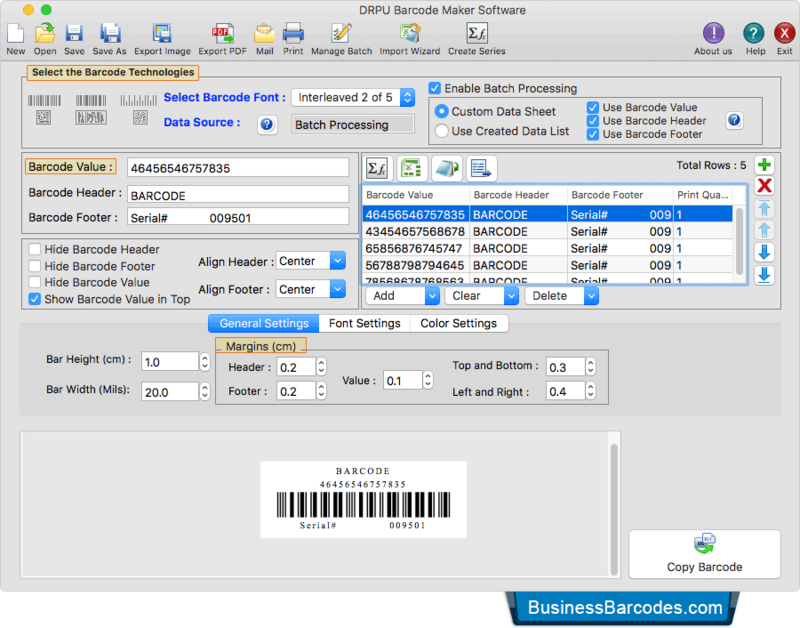 Select the barcode technologies, enter barcode value, barcode header, barcode footer and set General Settings of barcode labels. 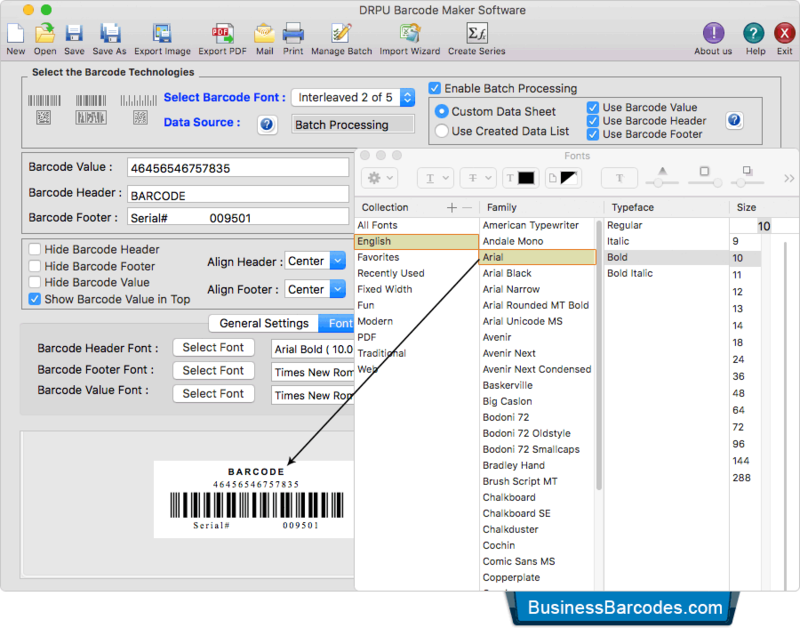 Using Font Settings, you can select the font family and font size of barcode header, barcode footer and barcode value. 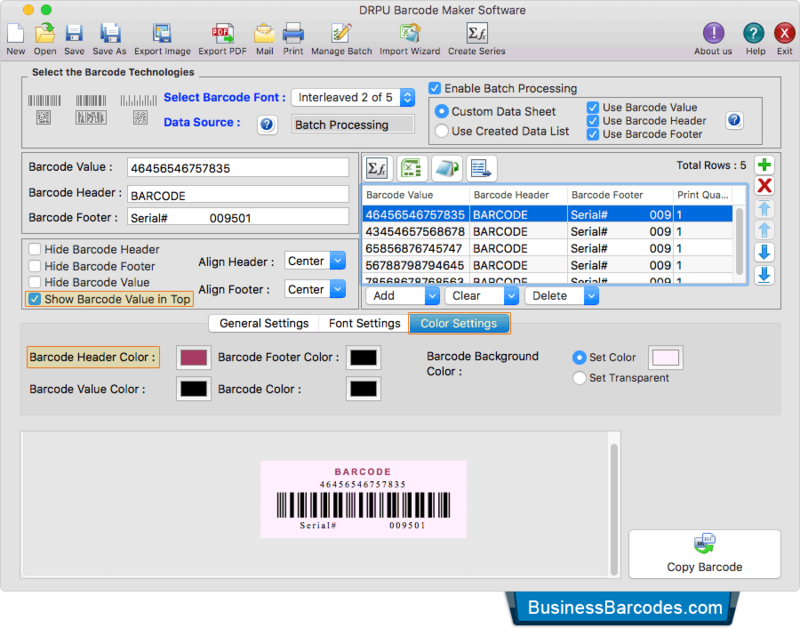 Using Color Settings, you can select or change the color of barcode header, barcode footer, barcode background and barcode value. 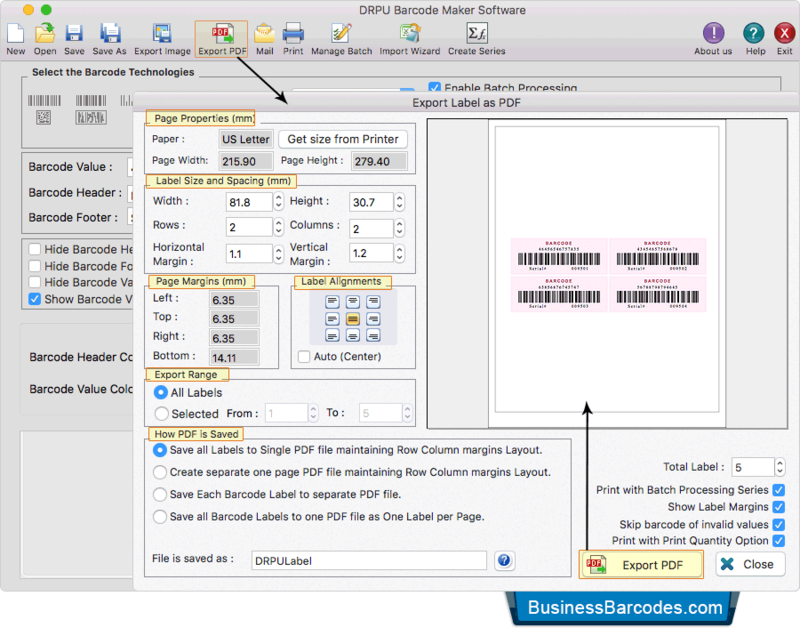 You can save or export designed barcode images in PDF file format by clicking on Export PDF option. 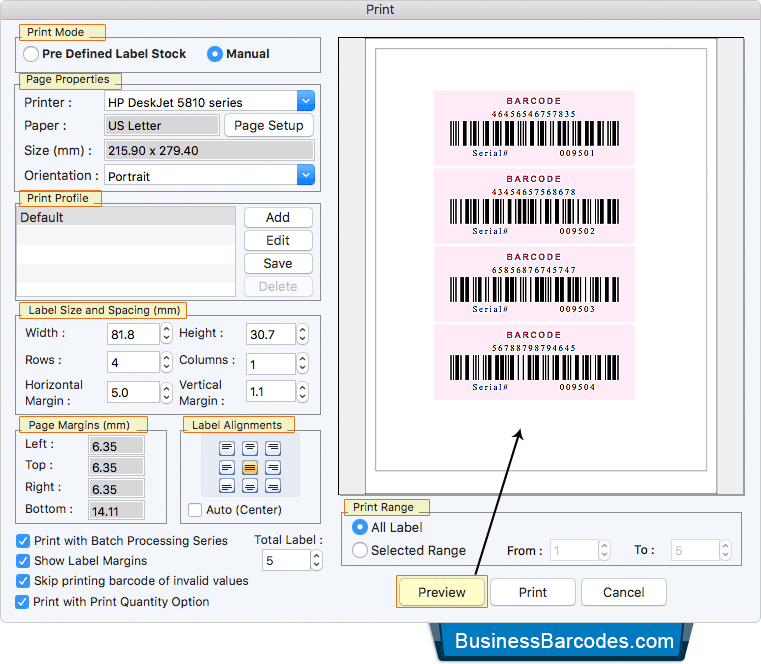 Select print mode, adjust various print settings and click on Print button. You can also see the print preview of barcode labels by clicking on 'Preview' button.